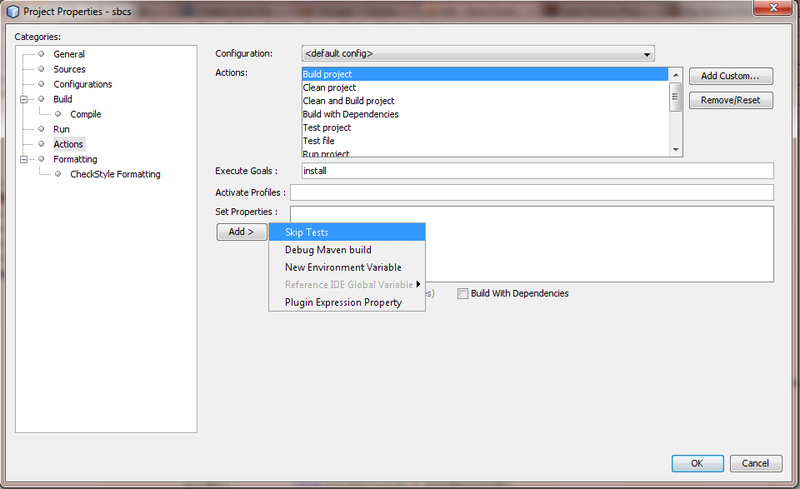 In netbeans 7 how do I skip testing and add maven additional parameters when building a maven project? Go to your project properties. Right click on the project name in Project Explorer and click Properties. Select Actions. Select the configuration that you are interested in. Select the action that you are interested in. Under set properties you can add the skip test and so on. 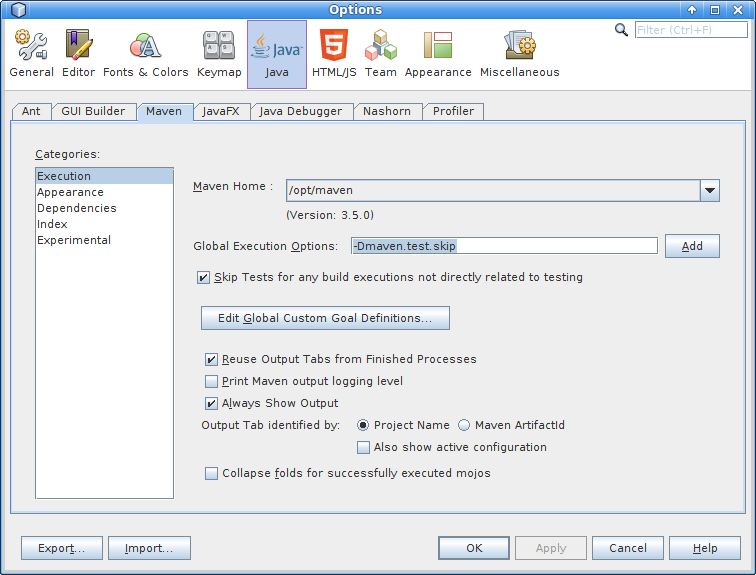 Tools->Options->Miscellaneous->Maven->Edit Global Custom Goal Definitions. These will be available to all maven projects. Not the answer you're looking for? Browse other questions tagged java maven-2 maven-plugin netbeans-7 or ask your own question.